If you think 'I love my dog', you are not alone. According to an article on today.com, a simple poll showed of the people surveyed 74% like dogs, and only 41% of people like cats. Dogs have been known as man's best friend for years and years. And recently, through use of therapy dogs, the love for dogs has grown even more. In the past, we saw the use of service dogs for those with disabilities. Majority of the time if we saw a dog in a store, it was assisting someone who was blind. The use of service dogs has continued to increase and spread to people suffering from other physical and mental disabilities. However recently, there are not only service dogs but also therapy dogs to help people in a number of different situations. Most people are familiar with service dogs. A service dog is trained to provide assistance to someone with a disability. This could include guiding them across the street, turning on lights, or helping retrieve items. Some therapy dogs are also trained as service dogs, but this is not what typically happens. Therapy dogs are trained to provide comfort, love, and affection to people. While you might think this is something that all dogs do, therapy dogs go through extensive training to make sure they are a good fit to be used with patients. They are used in hospitals, schools, retirement homes, and disaster relief areas. A service dog can be taken anywhere if they are certified and working, but a therapy dog is only allowed into the place where they are granted rights to service. This means you aren't going to see therapy dogs as you walk through just any store, mall, or restaurant. They are limited to the specific places where they are visiting to work. The program for therapy dogs is not a new idea, although it has only recently gained a lot of public attention. The idea actually originated in 1976 when Elaine Smith founded Therapy Dogs International. She noticed that there were a lot of positive responses from patients when a visiting chaplain would bring his golden retriever. Upon seeing this connection, she founded TDI to help bring these benefits to others. Not every dog can be considered a therapy dog. While TDI was the first institute to train and certify therapy dogs, it is no longer the only one. There are several different institutions that a dog can be certified through and they all have strict requirements that the dog must meet. Who Can Benefit From A Therapy Dog? Truly, anyone that loves dogs can benefit in time with a therapy dog. All of us can use a little bit less stress and tension in our lives. Focusing on a therapy dog can help us take our mind of four problems and ourselves and put it on something else. If even for a short time, this is a nice break from the stresses of life. So while that is nice for everyone, there are some people who really benefit from their time with therapy dogs. Here are some of the most common situations when therapy dogs are brought in. Studies revealed that having a dog actually produces an automatic relaxation response. When someone plays with pets and animals, it can actually decrease the production of cortisol, which is the hormone responsible for stress. It was also found that it would increase levels of oxytocin, which is a stress-reducing hormone. So not only does it actually help you reduce stress, but it also boosts the hormones that help remove the stress that you do have. In some cases, it has been found that people have been able to reduce the amount of medication that they need from the time they spend with therapy dogs. 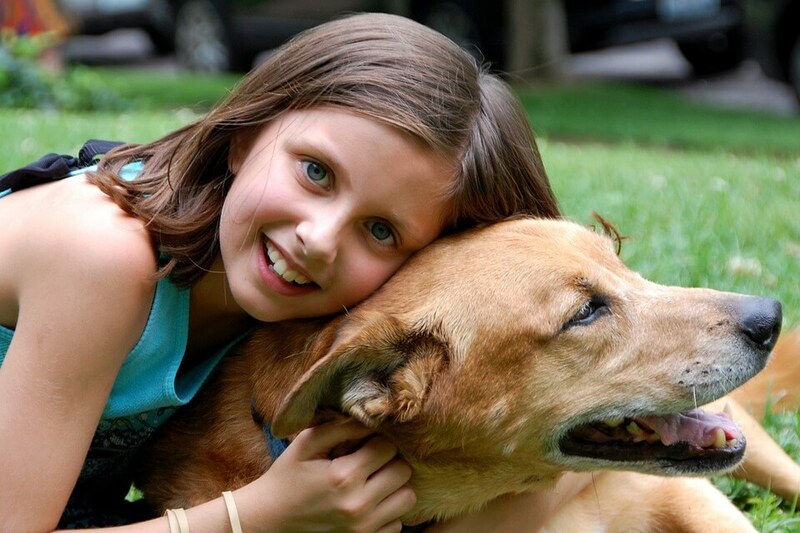 Many hospitals, including children's hospitals, have found positive results from bringing in therapy dogs. While the dogs are great for reducing stress levels and improving the mood of the patients, they can also play a larger role. Therapy dogs can motivate patients to come out of their shell and interact more with others. This includes improving interactions with the hospital staff, getting patients up and moving around their room, and encouraging them to do things that may be difficult for them such as taking their medication or participating in therapy. It could be lonely for patients that have spent many days or longer in their hospital beds. The unexpected surprise of seeing a dog come into their room can be exactly what they need to lift their spirits and give them the strength that they need to continue their battle. 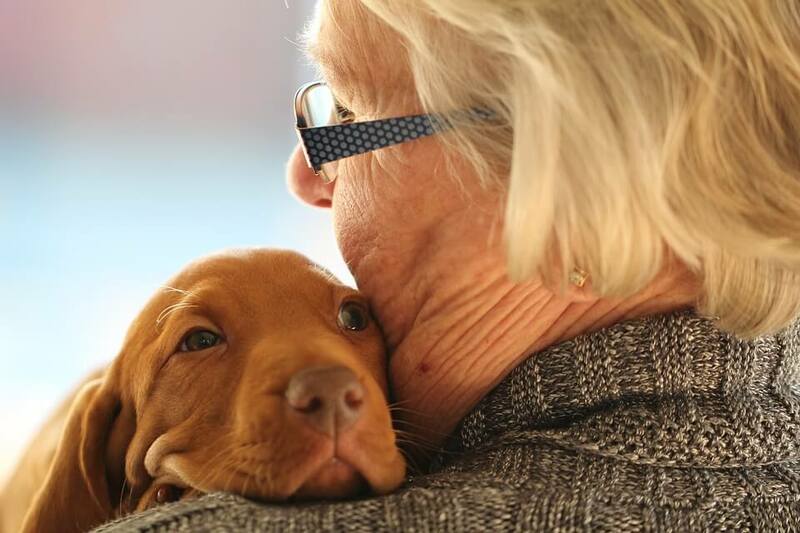 There are a lot of ways that therapy dogs can help those living in retirement homes. The dogs are a good source of company, helping those who feel lonely. They also bring joy and fun into days that are otherwise pretty uneventful. People living in these homes may have had pets when they were in their own homes and had to give them up when moving into the retirement home. The use of a therapy dog can help give them the comfort that their own dog used to. It is a small comfort of home that they can still enjoy. Therapy dogs also help increase communication between the residents of nursing homes. Visits from the dogs provide them something to talk about and experiences to share. This can help residents form friendships with other residents, which also helps combat depression and loneliness. Residents also receive health and mental wellness benefits from the therapy dogs. The dogs help them to be more active, get more exercise, reduce stress, and increase levels of happiness. Lately, therapy dogs are making the news for showing up at locations where people have experienced traumatic events. This has included schools after shootings, towns hit by hurricanes, communities impacted by tornadoes, and at schools after the death of a student. The dogs help to relax people and give them something to comfort them as they work through their grief. Studies have found that college is one of the most difficult transition periods that many people experience in life. Teenagers are moving from a world as a child, to life as an adult. They have new responsibilities, a new environment, and are often in places where they do not know anyone. Everything is different, and many times more difficult than the student expected. Depression rates among college students are on the rise. But therapy dogs have proven to be a big help. There was a study done between researchers at Idaho State University, Georgia State University, and Savannah College of Art and Design. 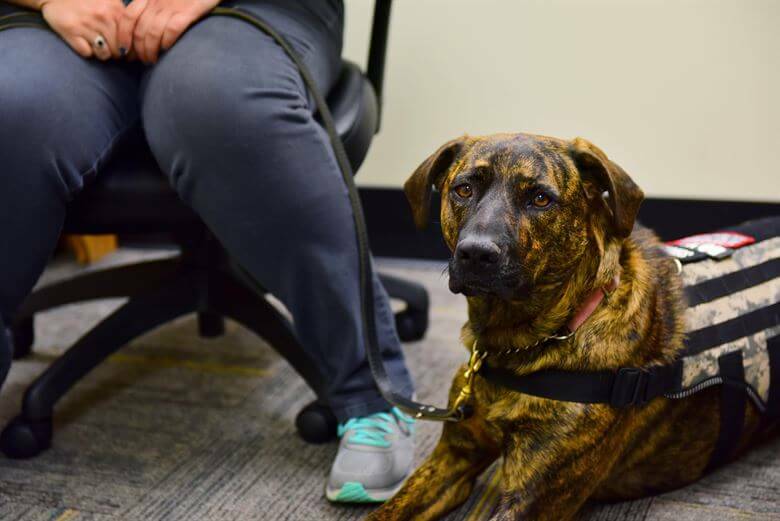 During the study, 55 students were put in a group setting two times a month and therapy dogs were brought in. The students were able to feed, brush, pet, hug, play with, sit and take photographs with the dogs. The study found that there was a 60% decrease in loneliness and anxiety of students participating in the study. Harvard Medical School and Yale Law School both had ideas for a library-based therapy dog. Harvard Medical School has a dog, Cooper, that students can visit for 30 minutes at a time in the library. The library has found that on days when Cooper is working, there are fewer complaints and people are much happier. Pets are like family members in many households. Many college students are away from home long term for the first time ever. 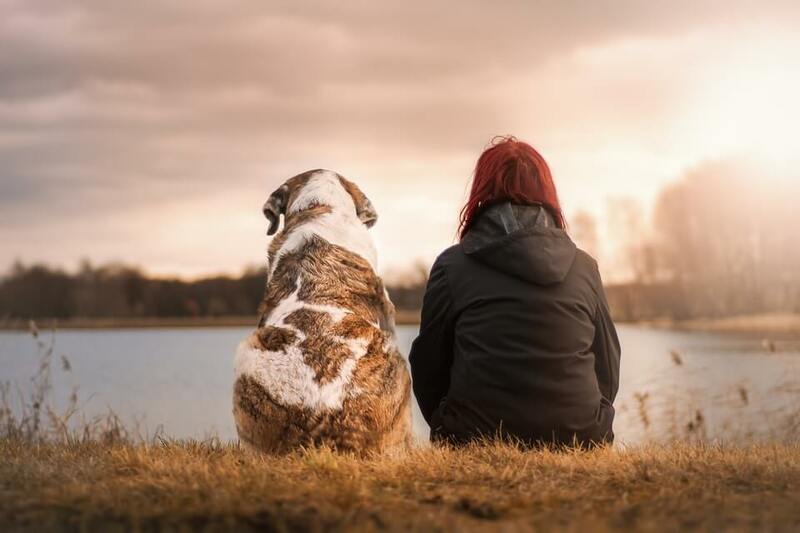 They can feel lonely if they don't have any friends there when they arrive and find themselves thinking 'I miss and love my dog'. This is another reason why therapy dogs are great to have on college campuses. Train your dog to be a therapy dog. If you are someone who constantly thinks 'I love my dog', you might be able to share that love with others. Consider seeing if your dog meets the requirements of being a therapy dog. There is training that is involved, but when the work is done your dog can bring the same joy and happiness to other people as well. If you find yourself thinking 'I love my dog and think other people would too' then look into seeing if your dog would qualify to be a therapy dog. You can share your dog's love and comfort with people in need, but make sure you know that this is a commitment to be taken seriously and a lot of work goes into getting your dog ready. Therapy dogs are a great tool to help deal with anxiety and depression. However, if you are really struggling, you may also want to talk to a professional. BetterHelp has licensed therapists online that you can talk to. Their experience and expertise can help you pinpoint and work through the underlying issues that you are dealing with.